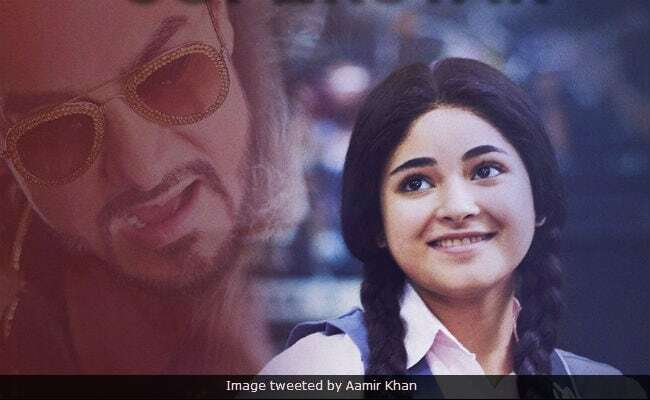 Aamir Khan's film Secret Superstar, which 'expectedly started slow' because of Diwali and was able to collect Rs 4.80 crore on Thursday has almost doubled the numbers on Friday and has shown 'remarkable growth,' tweets trade analyst Taran Adarsh. Secret Superstar has managed to make a total of Rs 14.10 crore in two days. The film made Rs 9.30 crore on Friday, which is almost double the figures it made on Thursday. "Secret Superstar biz almost doubles on Fri... REMARKABLE GROWTH... Thu 4.80 cr, Fri 9.30 cr. Total: 14.10 cr. India biz," Taran Adarsh wrote in his tweet. Earlier, in his tweets Taran Adarsh wrote: "Expectedly, Secret Superstar has started slow... Exactly like Taare Zameen Par ... But word of mouth is super-strong." #SecretSuperstar biz almost doubles on Fri... REMARKABLE GROWTH... Thu 4.80 cr, Fri 9.30 cr. Total: 14.10 cr. India biz. Aamir Khan plays a music composer Shakti Kumaarr in Secret Superstar while his Dangal co-star Zaira Wasim plays the lead role as Insia. The story revolves around Insia, an aspiring young singer, whose dreams are not supported by her conservative father. However, Shakti Kumaarr helps her in achieving her dreams and passion of becoming a singing superstar. In his review for NDTV, Raja Sen writes: "Aamir Khan is an absolute hoot as he plays Shakti Kumaarr, cheesy and predatorial and self-aggrandizing in completely cartoonish fashion. It is a caricature - try to imagine a combination of Anil Kapoor from Taal and Kamaal R Khan, poured into an Ed Hardy shirt - but Khan brings enough nuance to the table to make even this tasteless fool appear real. He has an outburst on television because he treasures talent over cuteness, he laments the way the industry hasn't given him any awards, and, on 'discovering' Insia, he declares that he'll buy the front page of Mumbai Times in order to launch her loudly enough. Khan embraces the nuttiness with glee, and I'd love to see more of this elaborately goateed idiot." He gave the movie 3.5 stars out of 5. Aamir Khan's Secret Superstar released with Rohit Shetty's Golmaal Again. Of this Taran Adarsh tweeted and wrote: "Golmaal Again has the potential to be a MASSIVE HIT... Like I said earlier, well-made masala entertainers will NEVER go out of fashion." #GolmaalAgain has the potential to be a MASSIVE HIT... Like I said earlier, well-made masala entertainers will NEVER go out of fashion! Secret Superstar is directed by Advait Chandan.